Pennywell skatepark is an all concrete skatepark that can be found in King George V palying fields and is solely a transitions based park. 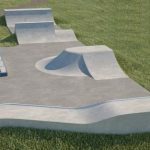 It features a mini ramp on one side, the side of which opens up into a large flat area and the top platform of which has a quarter pipe leading into it. Running off the other top platform is a flat bank and this leads up to a jump box and the run finishes with a quarter pipe at the other end. 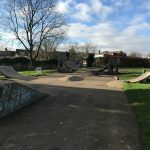 Pennywell skatepark is a simple back and forth park, the layout is not the most original however the surfaces are smooth and fast which makes up for it. 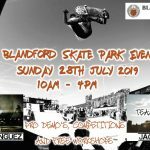 If you are wanting to learn the basics this is a great place to come but if you are after a more challenging skate, check out one of the other skateparks nearby. South Hylton metro station: Exit the metro station onto Hylton Bank and follow the road south until the roundabout. Here turn left onto Hylton Road and follow the road until Palgrove Road on your right. Take this road and then enter the park and here is where Pennywell skatepark can be found. Glasbury Avenue bus stop: Exit the bus onto Nookside and the park will be opposite you. 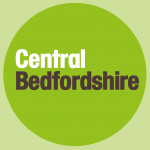 Here is where Pennywell skatepark can be found.